Here you will find an alphabetical list of all the Vendors that make up the Green Elephant Marketplace. You can read a little bit about them and if you want to take a closer look click anywhere on their listing to navigate directly to their store. If you know of a business that should be here Suggest a Vendor and if you are a business that wants to be here apply to Become a Vendor. Ama Balm 100% NZ Made natural balms for those who live life outside. Packed with nature's goodies helping skin to prepare and recover. Aotearoad Aotearoad NZ pride themselves on only producing natural & organic products that are made with Aroha so they are good for you and the planet. 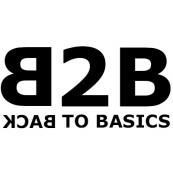 Back to basics New Zealand We are excited to introduce our down to earth, eco-friendly, bio degradable, practical bags at down to earth prices. Back to the Wild Natural, Organic, & Ethical skin, body and home products. Our products are friendly on your skin, the environment, and your wallet. Be Natural Soap All natural & organic liquid and solids soaps, solid shampoos, lip balms and body butters. Sustainable home and living products. Beautiful Organic Skincare Beautiful Organic Skincare range is artisan, organic and hand made, luxuriously nourishing your face and body from the outside in. Bee Fresh Deodorant An all natural organic deodorant that actually works! Bee Green Food Wraps Cotton food wraps infused with NZ Beeswax, tree resin and organic jojoba oil. A planet friendly, reusable alternative to cling film. Beekeeper's Daughter Beekeeper's Daughter is a boutique natural skincare company that prides itself on using honey bee by-products to heal and soothe the skin. 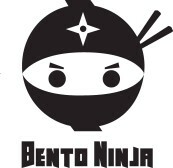 Bento Ninja Hi-quality environmentally friendly stainless steel products, clothes pegs, lunchboxes & its accessories. Start plastic-free life now. Bohome and Roam We roam the planet to create an eclectic collection of ethically sourced, fair trade homewares and accessories for conscious consumers. CaliWoods Reusable Straws CaliWoods makes eco easy with their range of Reusable Straws. They are on a mission to reduce single-use plastic! Cuppacoffeecup CUPPACOFFEECUP is a reusable, recyclable takeaway coffee cup made in New Zealand with New Zealand artist designs. Danu Changing your period for the better with natural, chemical-free period products. Eagles Rest Innovative Sustainability! Making quality products that support sustainability and circular economy. Earthware At Earthware we produce reusable products to reduce the use of single use plastic in your everyday life. Eco Saint A New Zealand owned and operated company bringing you high-quality eco-conscious produce bags &totes. Ecobagsnz Ltd Ecobagsnz™ is a growing New Zealand-based business whose mission is to provide an eco-friendly alternative to plastic bags. EcoWarehouse EcoWarehouse Ltd is a family operated business based in beautiful Tauranga, Bay of Plenty, New Zealand. Eko Hub Ltd Eko Hub - New Zealand made products using Natural and Organic ingredients. Etico Ethically sourced homewares, gifts and accessories. 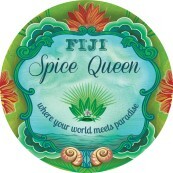 Fiji Spice Queen A majestic range of soaps, hydrating lotions and gorgeous scrubs. Cruelty Free and made in Fiji. Floreco Floreco stands firmly on the principle of providing a sustainable and ‘eco-friendly’ solution to satisfy our customer's everyday needs. Fodda - Feeding the Earth Natural General Fertiliser & Soil Enhancer. Also produce Seedling Trays & Trovel. Great for your garden, orchard & houseplants. 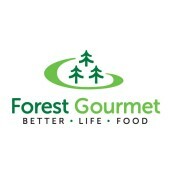 Forest Gourmet Great tasting, unique New Zealand flavours, while helping look after the planet for the future. 10% of profits help plant more trees. Good Creations Make the world happier and healthier by connecting shoppers to stunning products that have been lovingly created sustainably. Goodbye PRODUCTS Proudly and uniquely NZ made, goodbye SANDFLY has been NZ's #1 selling natural repellent since 2010. GoodFor New Zealand's first plastic-free whole foods refillery. Goodsport Our Goodsport family are passionate about producing 100% natural products with pure, indigenous New Zealand ingredients. greentrading Green Trading offers range of certified organic products for PEOPLE, PLANTS & PETS. Many of our products are Bio Grow certified organic . harper & leaf Natural, vegan and palm free handcrafted soap bars. Hathor Fusion Hathor Fusion is a range of beauty products made with all natural, safe and non-toxic ingredients instead of harsh chemicals. Hayley Benseman A beautiful range of 100% natural -cruelty free - paraben free - synthetic free hand crafted beauty products. Proudly NZ made! Heaven Scent Soy Candles At Heaven scent we believe in providing our valued customers with fast friendly service and excellent quality earth friendly products. Hello Melba Natural, gentle & effective skincare and goods for a simple, sustainable lifestyle. Honor Body Scrubs Honor Body Scrubs are packed full of skin-loving goodness, using natural ingredients to leave your skin feeling soft and smooth. HRB Homeware We sell beautiful high quality rugs that are made from recycled or natural materials. Hunt and Gather Bee Co Raw, local, unpasturised New Zealand honey from beekeepers who care about bees and are dedicated to sustainability and ethical practices. 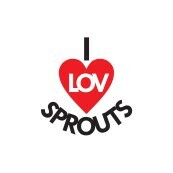 i lov sprouts The I lov Sprouts team are made up of two health conscious Trans Tasman friends Rah and Ra. Into The Flax NZ Shay and Cam started Into The Flax with the mission to provide people with handmade products that are high quality, unique and beautiful. Jonny ocean trading We aim to provide New Zealand Foodies with Cambodia's Kampot Pepper. Regarded as the finest peppers in the world with elegant flavours . JP Harlequin Shoes Specializing in vegan, recycled, eco-friendly footwear that supports small family run businesses. Kapitea Oils Ltd Distillers of Essential Oils and Manufacturers of Lotions, Balms, Soap and Insect Repellents. Kateri Our bags are biodegradable, organic cotton, sourced from GOTS certified suppliers. They look sleek and feel luxurious. La Sirene Aromatica Organic and wild crafted aromatherapy elixir mists and botanical perfumes. Blended in New Zealand by a Clinical Aromatherapist. Lanies Hand made boutique bath and body products. Only natural and sustainable ingredients used. Lavender Magic At Lavender Magic we are passionate about producing quality natural products that help improve our customers lives in some way. 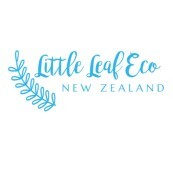 Little Leaf Eco NZ Little Leaf Eco is a family owned New Zealand company that is focused on offering environmentally friendly products suitable for all ages. Little Mango We provide a range of natural deodorants - aluminium free, paraben free and made in New Zealand. Little Olive Tree Our simple vision is to create natural products to invigorate, uplift and indulge your senses. Little Yellow Bird Little Yellow Bird makes ethically made corporate workwear. Live Simply The Simply Laundry Kit has been our best selling product for 7 years and is the greener way to get your washing done. Mara Botanical Very pure Botanical Hair and Body Products handcrafted in New Zealand from natural ingredients only. MARTYGIRL SKINFOOD 100% handmade skincare range! Creating natural/organic products, healing, ethical funky and they work! MOVE2ECO LIMITED move2eco online shop for beautiful eco friendly, handmade natural products for everyday use in the home. Munch NZ We are an eco friendly New Zealand company that makes and markets products and offers ideas and recipes to feed the family. My Vita Bag My Vita bag offers reusable and sustainable alternative to plastic bags. Our bags are ethically made form certified organic cotton. Myself Skincare Ltd Natural Beauty Products. Made In New Zealand beauty products. Using natural ingredients. 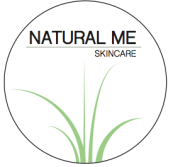 Natural Me Limited Natural Me Skin Care - ingredients by nature, blended with care by me. Naturally Fabulous Take a natural approach to everyday beauty choices with La Mav Certified Organics. Naturally Herbal Naturally Herbal offer a range of single herb herbal topical ointments, nourishing hand creams and Castile Soap made in traditional ways. Neat Natural Products WE ARE NEAT. And we mean that in a variety of ways! 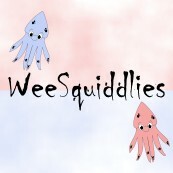 We're Neat - the brand (we specialise in perfumes), and we're Neat - a bit choice, rad..
nectar Enjoy export-quality, ethically produced organic bath and beauty products for the whole family in sustainable packaging. Proudly made in NZ. Newflands ltd We help people give their furkids the best quality of life through New Zealand made natural Eco-friendly sustainable treats and supplements. No3 LTD Natural plant-based products created and made in the Bay of Plenty. Everyday liquid and bar soaps, lip balms, lads range and dogs range. 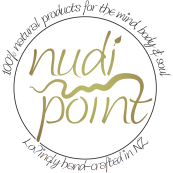 Nudi Point 100% NATURAL skincare and wellness products, lovingly hand-crafted in the Far North of New Zealand. Oceangreen Organics 100% Pure New Zealand Seaweed Supplements - A totally natural and organic way of improving your overall health & wellness. Omrub Ltd Our mission is to help you heal naturally, be pain free and move like you were born to. OurEco Home NZ Find out how easy it is to have a sparkling home that smells great and remove the nasty chemicals forever. Pip Pottage Designs Specializing in ethical handmade homewares. Designed + made in New Zealand from a range of eco friendly textiles, for concerned consumer. Pouch Products New Zealand made reusable bags... for life, everyday. Shopping, at home or at play, there's something for everyone. PranaTherapy Therapeutic health remedy delivered for all in a synergistic blend of 19 essential oils with 100 benefits and uses smelling Divine. Raw Nature 0% Plastic, 0% Nasties, 100% Natural. Deodorants and body sticks. No parabens, phthalates, aluminium, nasty chemicals. Sabun - Eczema Rescue Products Sabun Natural olive oil skincare gives relief to those with troubled skin - soothing, healing and moisturising itchy dry skin. Santosa Natural Cleaning and Household Products lovingly handcrafted in small batches, specifically with your well-being in mind. Seventh and Two Seventh and Two is a stationery brand with a handmade twist. SOLID Oral Care Eco-friendly oral care that's safe and effective. Designed and made by an oral health therapist. 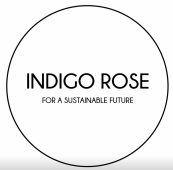 Soo's Garden Natural Skincare My products offer a tangible connection to a philosophy that embodies health, ethnobotanical knowledge and ecological sustainability. SoSimple Natural Skincare Waterless Natural Skincare NZ | Eco-Friendly Natural Skincare products made with Unique to NZ Botanicals. SpraySafe SpraySafe is a game-changing, powerful, eco-friendly antibacterial sanitiser that tackles germs and removes bad odours. Sub24 Natural Skincare Ltd Sub24 is a natural, NZ made skincare range specially developed for young adults or those with sensitive skin. Suzy's Baskets Handmade crochet baskets made from 100% recycled t-shirt yarn. 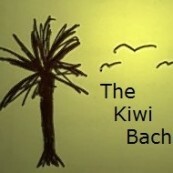 The Bach Locally and Internationally sourced ethical, organic, eco and vegan products for mothers, babies, toddlers and pets. The ECO Brush Our number one priority at The ECO Brush is to create an affordable and accessible Bamboo Toothbrush. 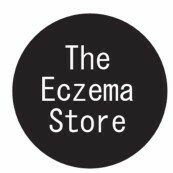 The Eczema Store Gilly's Skin Balm is a 100% Natural Balm specifically for dry, inflamed, itchy skin conditions such as Eczema, Psoriasis, Dermatitis. The Furnace Ltd. The Furnace creates beautiful 3d hydrographic art maps depicting the topography of New Zealand. The Green Collective Gorgeous products to help you live more sustainably. Goodie Bags & Loot Bags are reusable bags, and SPRUCE is the ultimate dishcloth. The HippieStraw The HippieStraw is a Wellington based company offering environmentally sustainable gift ideas and essentials for you and your family. The Natural Box A collection of all things natural, vegan & cruelty free. The Sage Apothecary At The Sage Apothecary we only use herbs, oils and mother nature's goodies in our skin care to give your skin the bit of lovin' it deserves. The Soap Shop Ltd Handcrafted in NZ from organic, vegan freiendly produce, The Soap Shop's range is based on the amazing benefits nature offers. The World of Artemis Jones Cosmetics and fragrances, handcrafted in Christchurch, New Zealand. TranzAlpineHoney New Zealand TranzAlpineHoney New Zealand is a certified organic honey producer, selling a range of Manuka honeys, white honeys, and health products. Tree Gifts NZ Founded in 2004, Tree Gifts are NZ's Award Winning Green Gift Company - delivering living plant & tree gifts across NZ with your love. Trees Please Established in 1996, Trees Please! send living tree gifts throughout New Zealand, each hand-potted and delivered in sustainable pine boxes. Udderly Pure Rich, creamy goat’s milk products to cleanse and nourish for silky, smooth skin from top to toe. Wendyl's Green Goddess The Wendyl’s Green Goddess natural range of cleaning and beauty products are all handmade using only nature’s best ingredients. Whimsy Whimsy is a small online store offering unique hand-crafted upcycled notebooks from Little Golden Books, that can be refilled and re-used. Wrapper's Delight Reusable fabric giftwrap. Wraps are made using 100% cotton fabric with ribbons attached. The simple wasteless way to wrap gifts! Zenbags Ltd Zenbags was setup to reduce the wastage and environmental damage caused by single use plastic bags. ZingBokashi ZingBokashi is a simple and easy recycling alternative that helps you manage your waste in a totally natural way. Zoo All-natural, cruelty-free health & beauty made in NZ. 50 cents from every product sold goes towards The Orangutan Project NZ.